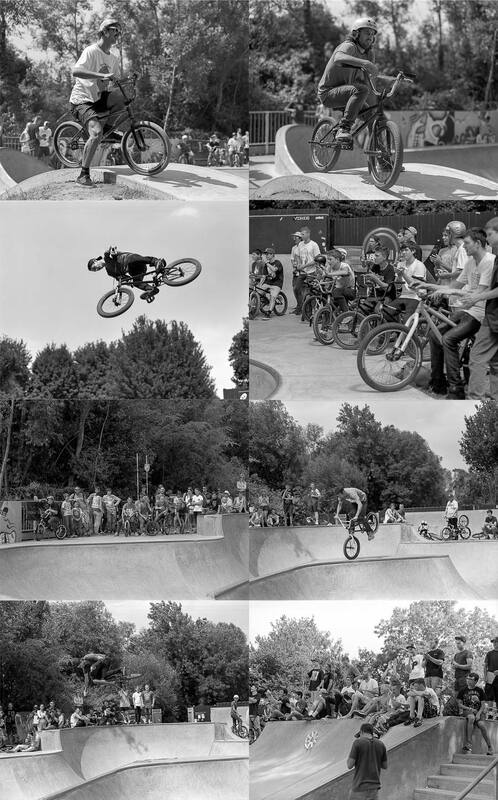 The last time the OWP skate park held a BMX Jam event was 2015 and here are some pictures from that event that I just found in my archive. 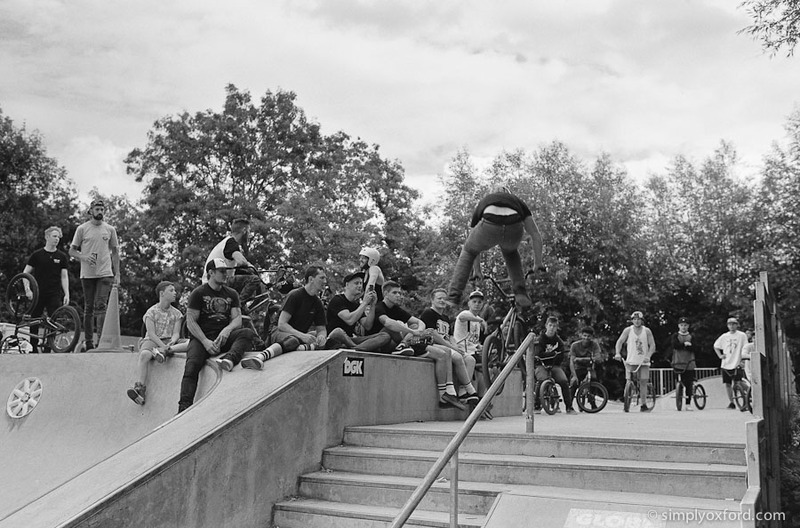 I don’t manage to get over to the skate park as often as I’d like for photography but whenever they hold an event – whether that’s BMX or skateboarding – I always do my best to make it. 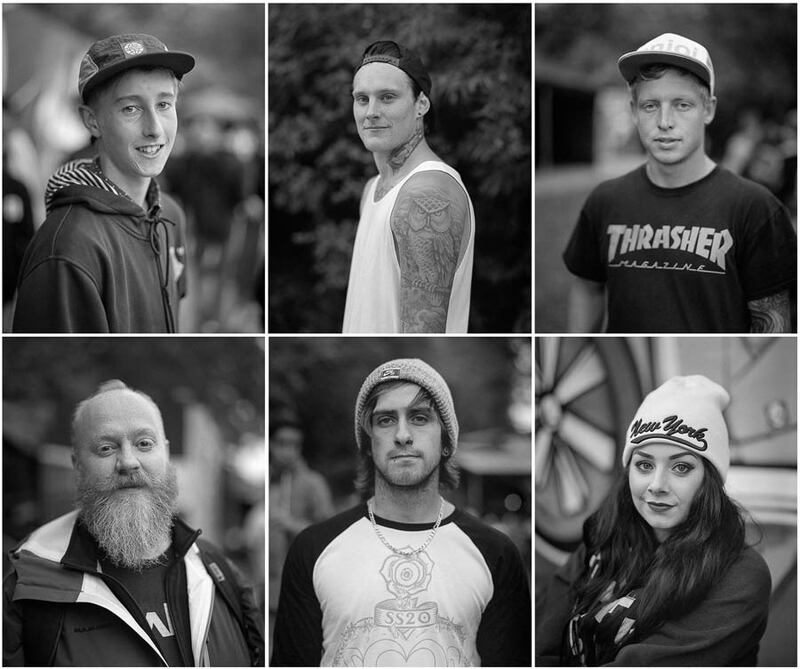 Some of these guys can be a tricky bunch to photograph because they tend to be camera shy but I do my best to stay out of the way to record some candid moments and hopefully they’ll now see the value of documentary photography at an event such as this, two years later. More to come. 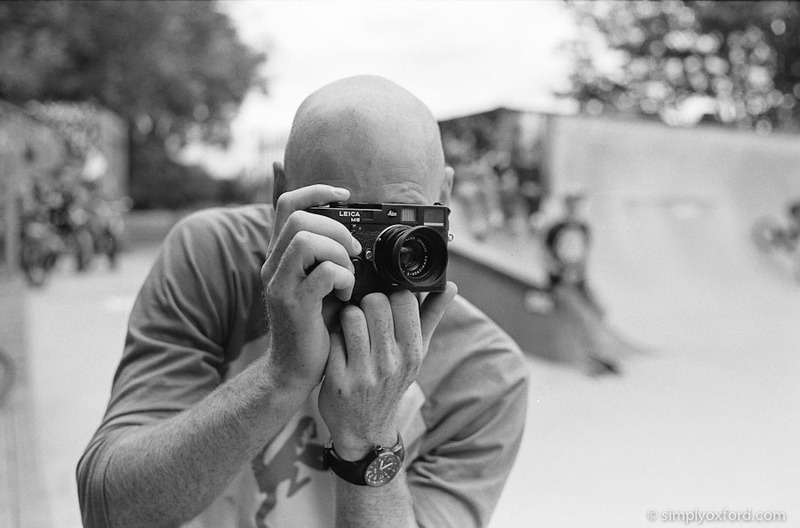 [Tech info:] Leica M2, Voigtlander 50/1.5 Nokton Classic, Ilford Pan F (expired), developed in Rodinal 1+50. Pakon scans. 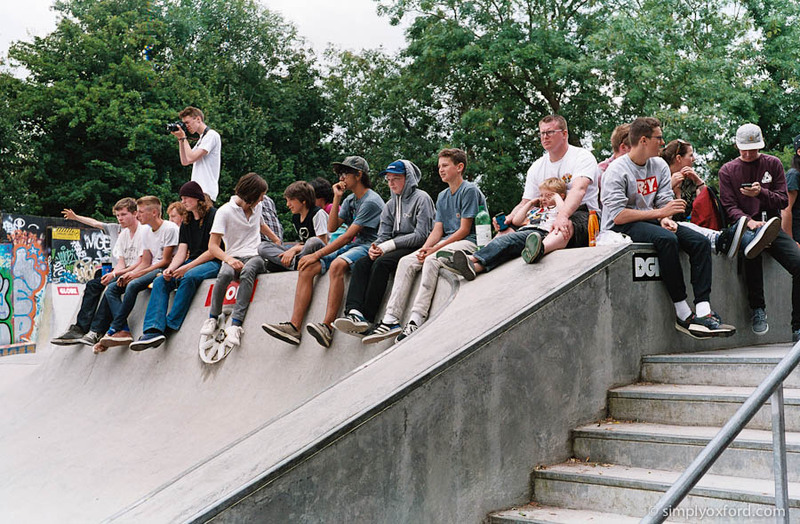 Back in the summer some professional skateboarders from North America visited the OWP skatepark on meadow lane for a skate around as part of a European tour. 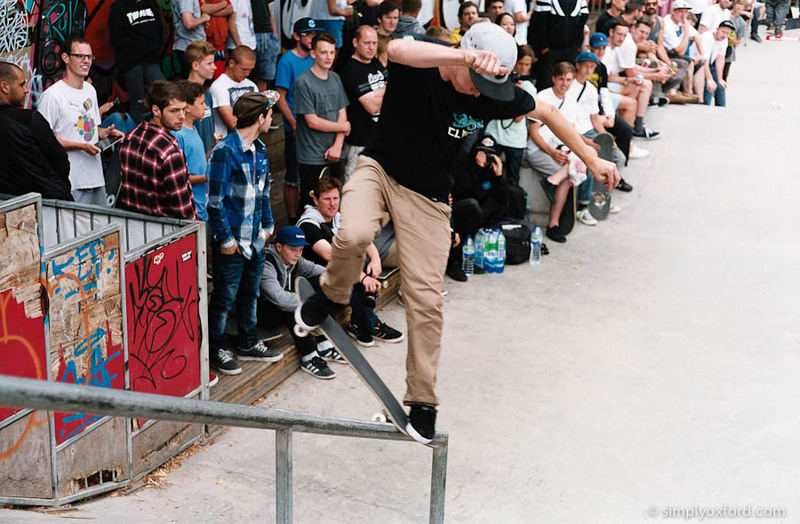 I must confess I’m not a skateboarder so I didn’t know anything about the guys that were coming but a lot of people did and I’ve never seen the skatepark so busy. 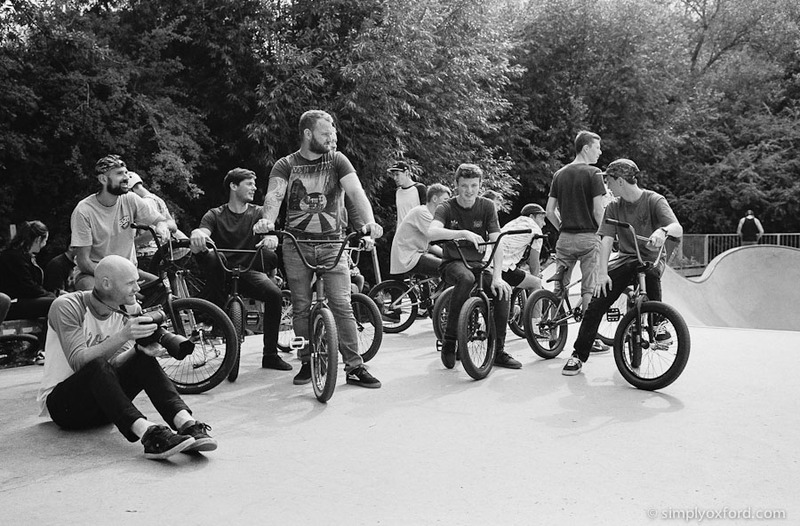 Here are some frames from the roll of film I had in my M2. The beginning of the roll had Lewis shots on it (see previous post). I think I have some other shots from a different camera which I’ll post at a later date. [Tech info]: Leica M2, Voigtlander Nokton 50/1.5, Fuji Reala 100 (expired), developed in a Rollei Digibase C41 kit, Pakon scans. 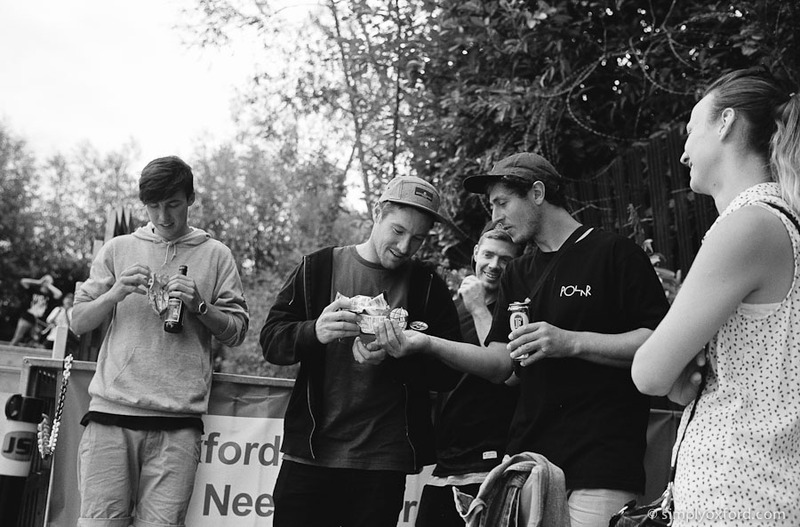 The Globe EU Trippin skateboard tour made a stop at the Oxford Wheels Project skatepark last week and I went along to do some photography. 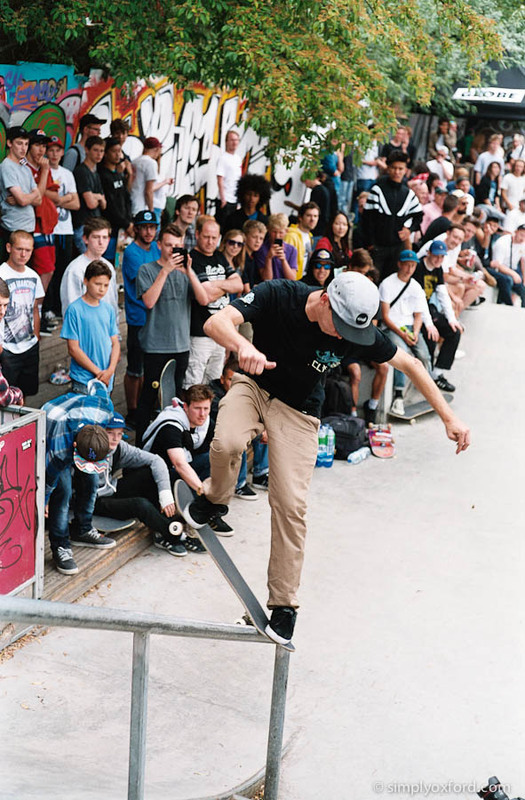 I had no idea who the professional skateboarders were and I didn’t expect there to be so many people but it was a fantastic atmosphere and great to see such a capacity crowd. 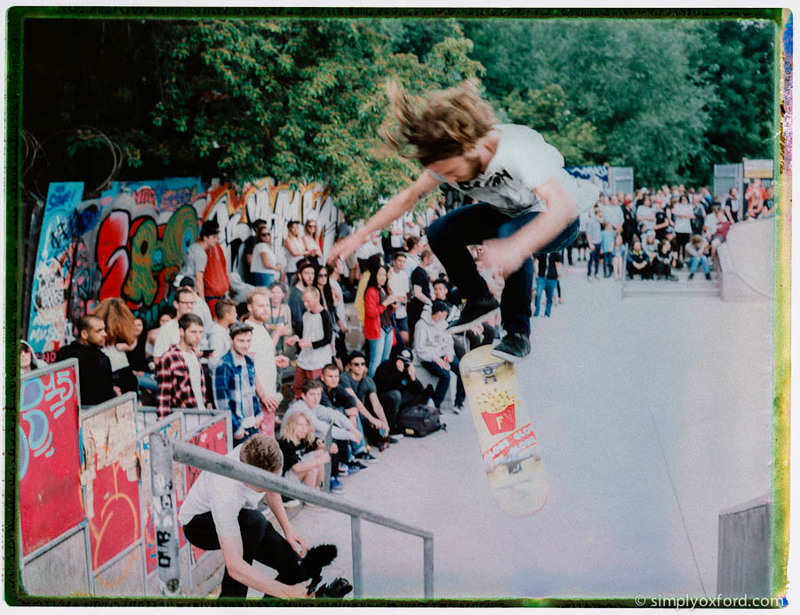 Photography was difficult because of the amount of people and very little space to manoeuvre but I did manage these two shots on my Polaroid 190 Land Camera (from the 1960’s). 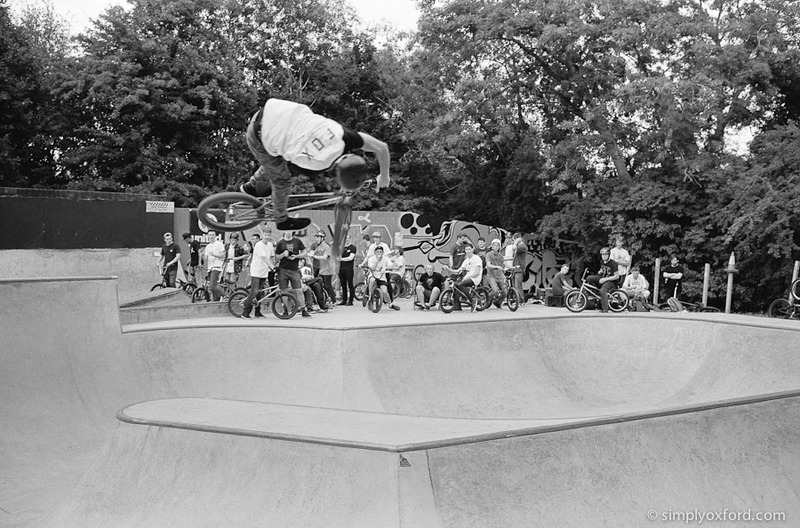 Whenever the OWP put on a Jam at the Meadow Lane skate park it’s always a great opportunity for photography. 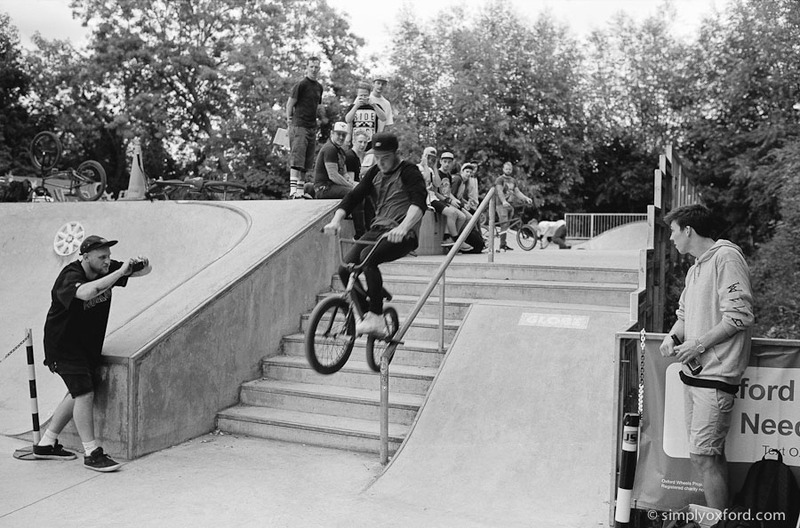 I only made it to the second half of last month’s BMX Jam because it was too hot for me at midday. Here are some shots of the long jump competition that was full of thrills and spills. 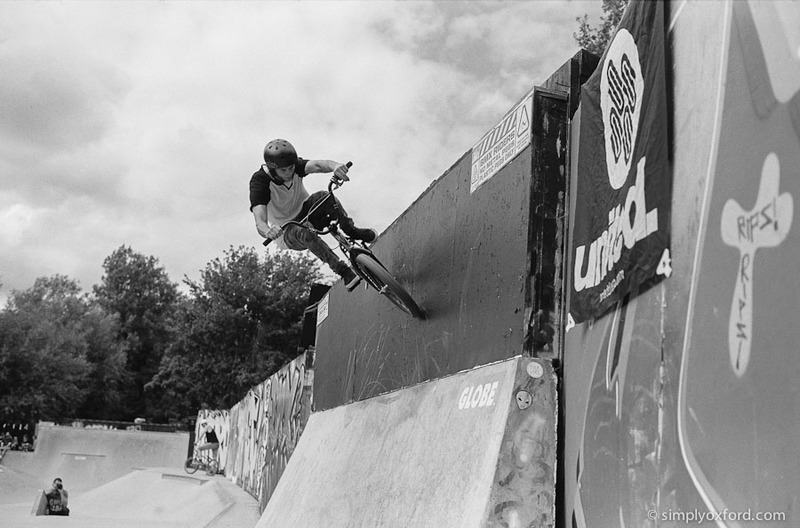 [Tech info:] Nikon FM2, 50/1.4D, Kodak Hawkeye film, processed in a Tetanol C41 kit (at over 12 months old the chemicals are probably a bit past it now). 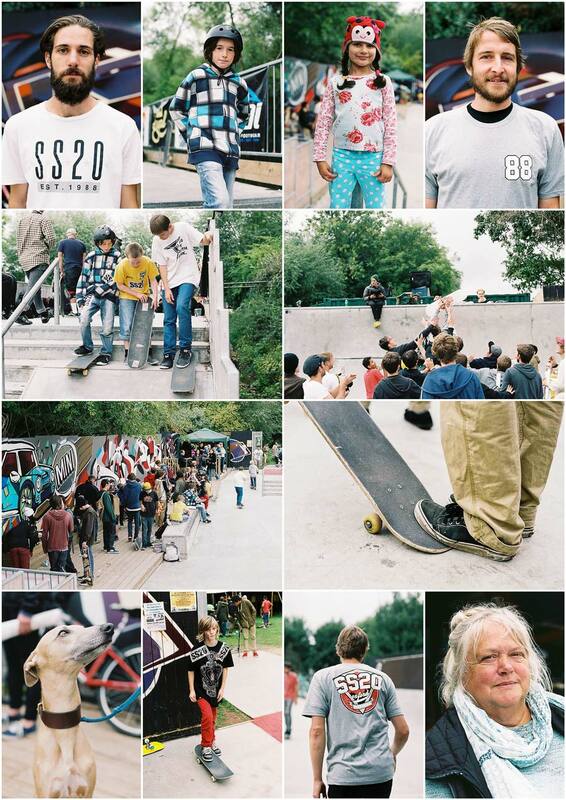 Here’s the third instalment of pictures that I made at SS20’s 25th anniversary skate jam which was held at the Meadow Lane skate park in September. I took 3 different cameras with me that day, a 35mm (Nikon FM2), a Pentax 6×7 medium format and a Bronica ETRSi 645 which is what I used for these shots. I love how the colours have come out in the overcast light, they’re just as I remember. 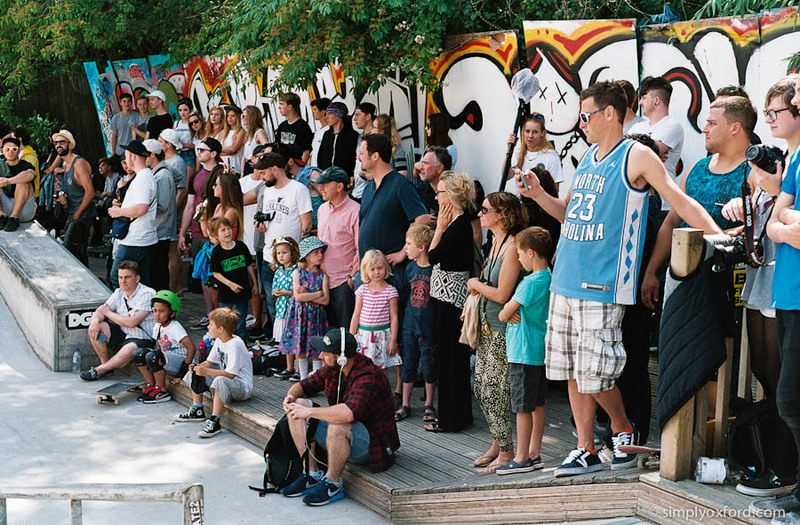 The crowd was a mix of some familiar faces from my previous trips to the skate park and lots of people that I’ve never seen there. 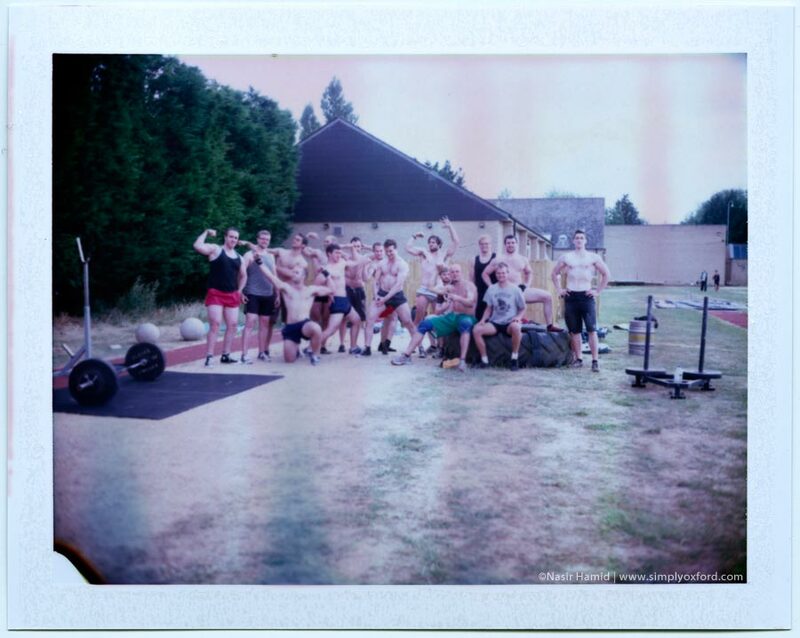 It was a really nice way to spend the afternoon with a group of people that share the same passion and I even had some nice comments from people that have visited this blog which was a pleasant surprise. 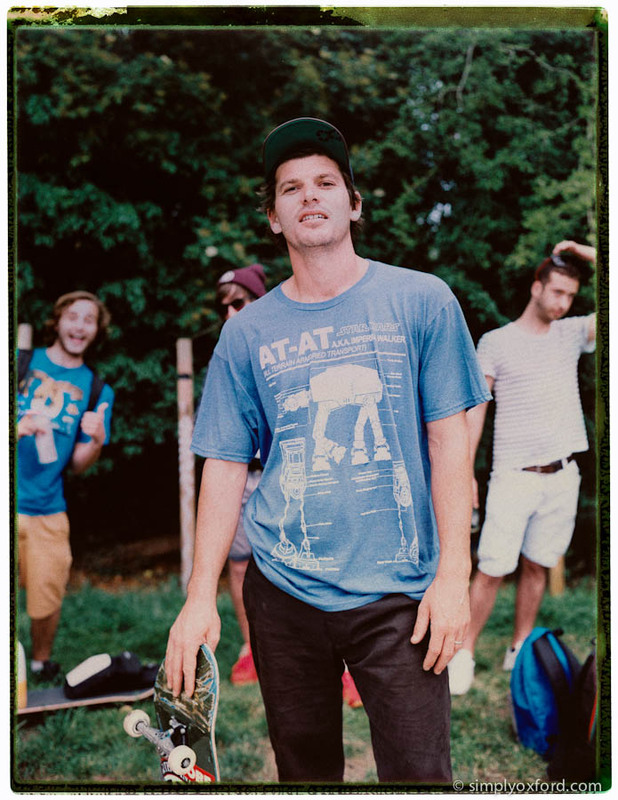 [Tech info:] Bronica ETRSi 645, 75mm/2.8 lens, Fuji 400H (expired) film, dev & scan by Ag Photo lab. 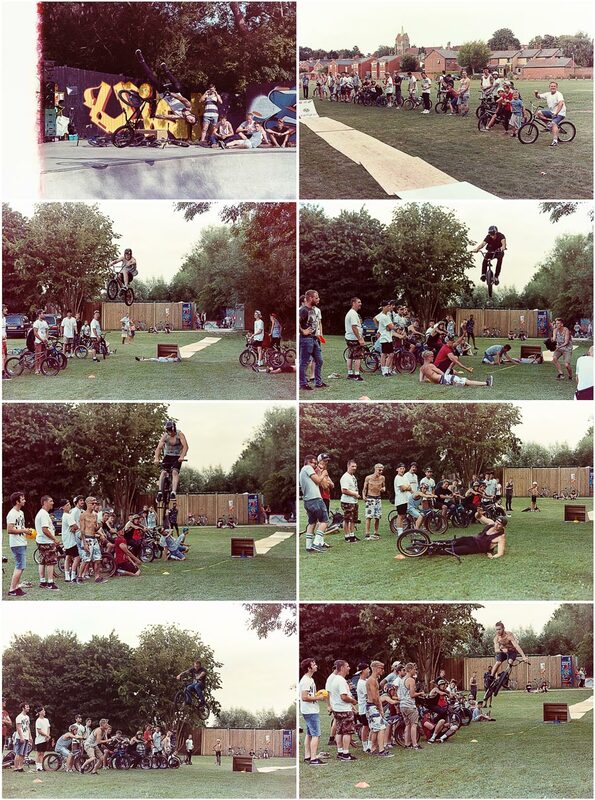 These are the only 35mm shots I managed to make at the BMX Jam that was held at the Meadow Lane skatepark back in July because halfway through the first roll of film the mirror inside my camera got stuck. 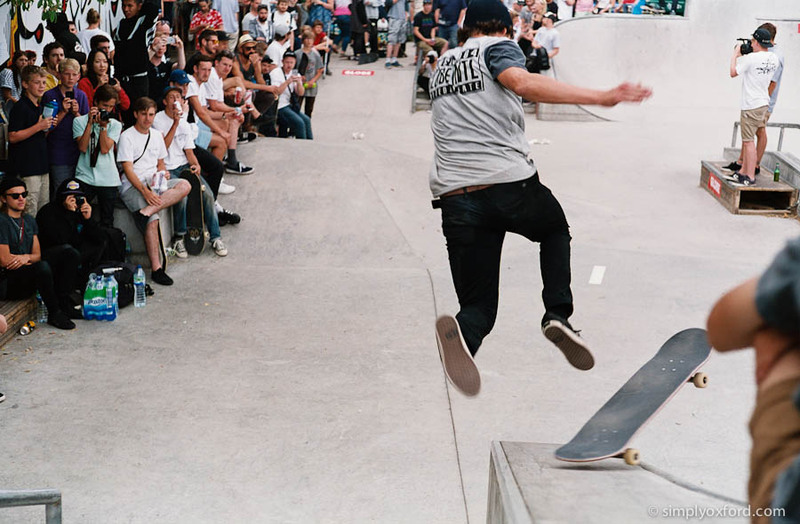 I didn’t want to risk taking the lens off to look inside because of the risk of ruining the shots I had already made so I put the camera in my bag and switched to medium format for the rest of the event. This resulted in fewer shots and more portraits but less action (see my previous posts, part 1, part 2). After I got home and investigated a little more it turned out to be a piece of foam inside the camera that had gotten a little sticky with age, an easy fix. My beloved Nikon FM2 is back in service again, still going strong after 25 years. 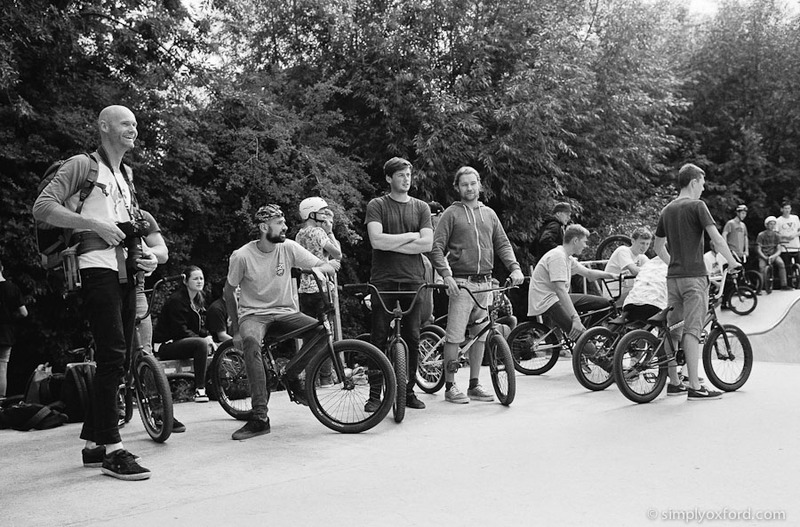 I really enjoyed this BMX Jam and as it was my first one I didn’t quite know what to expect but now I know what it’s all about I can’t wait for the next one. It poured down with rain on the original date that had been set for this but on this day we had fantastic summery weather and a really good turn out. 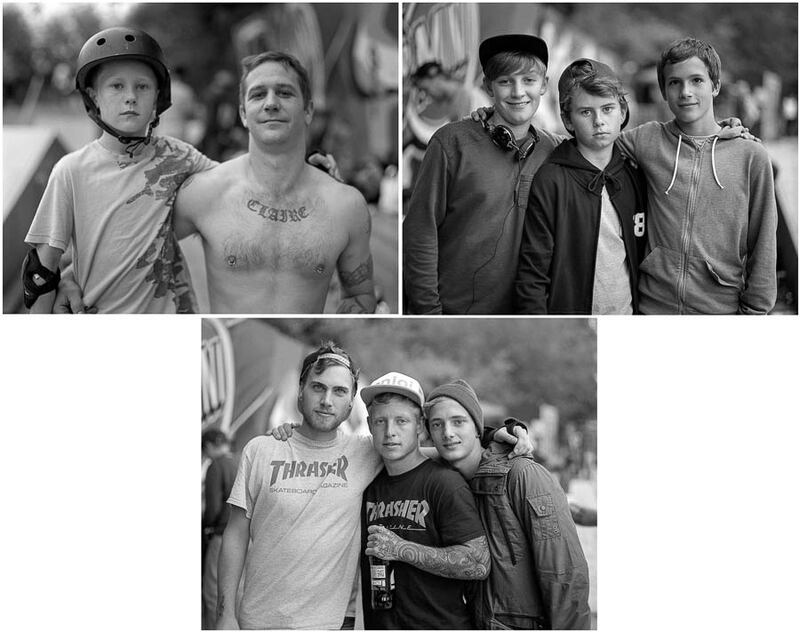 The portrait at top left is local BMX legend Alex Leech who I started my first day of school with many moons ago. 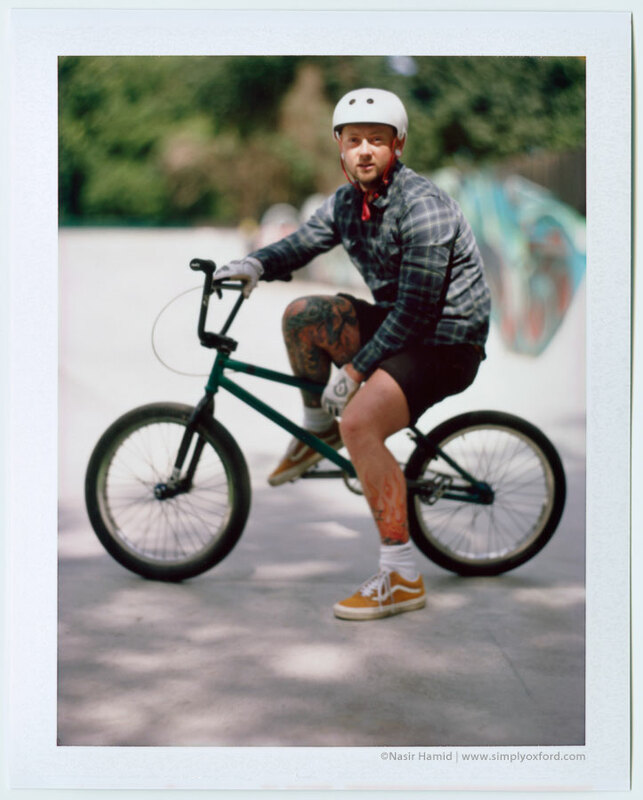 I’d say he’s almost as passionate about BMX as I am about film photography and I always enjoy bumping into him at the skatepark. 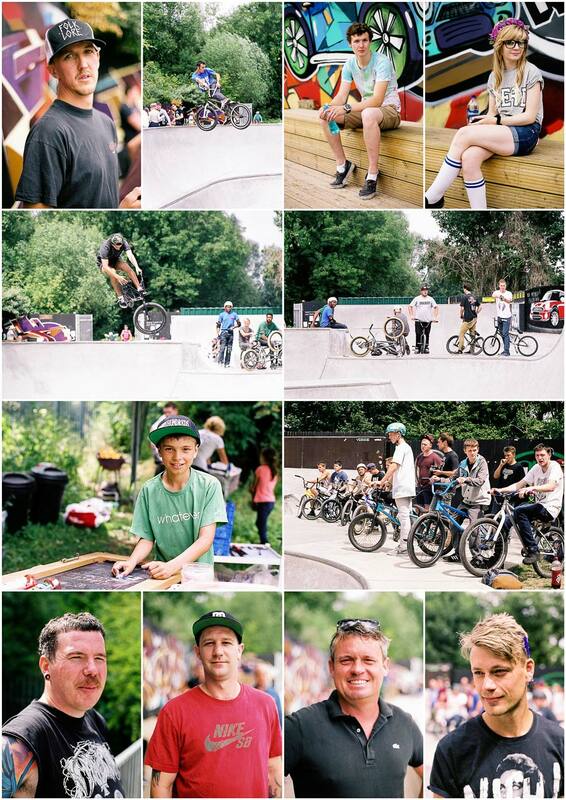 [Tech info:] Nikon FM2, Zeiss 50/1.4 and Nikon 105/2.5 lenses, loaded with Fuji Superia 200, developed and scanned by ASDA in Swindon. 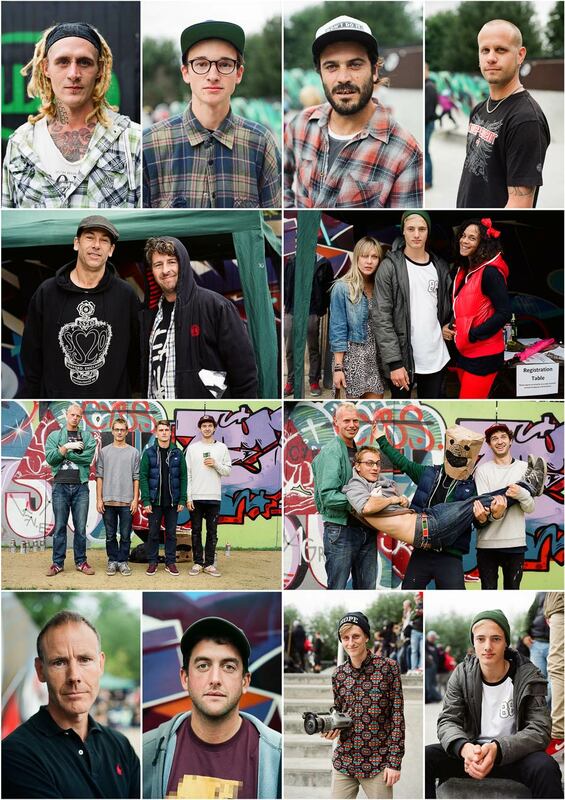 These portraits are from SS20’s 25th anniversary skate jam at the meadow lane skatepark. It was getting towards the end of the day and light levels were dropping so I struggled a little with the focus on a few of these but at this size they’re okay. 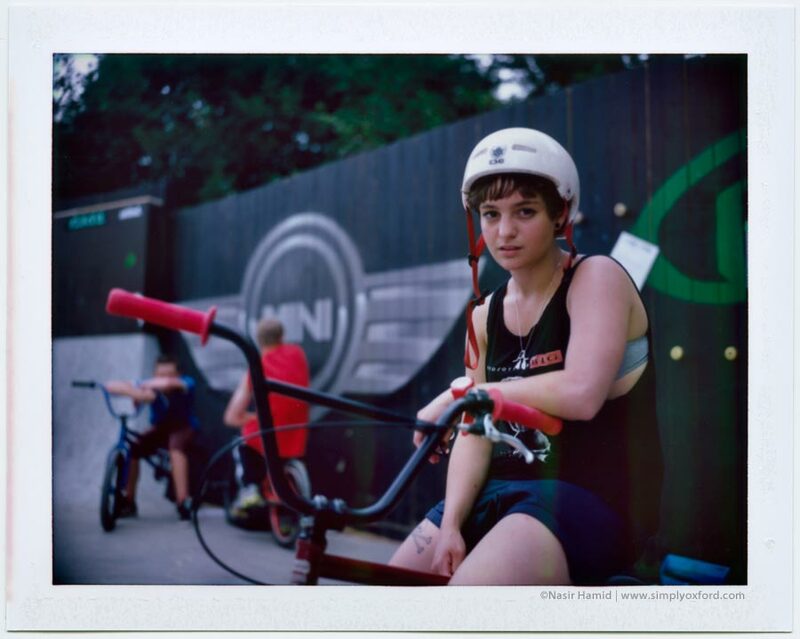 I really like how these turned out considering the flat light and expired film I was using. 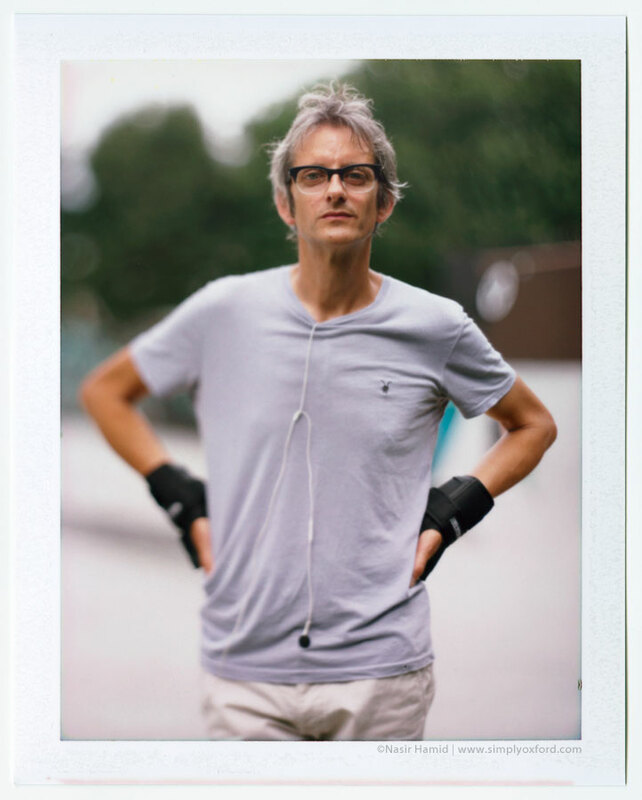 Classic dignified portraits are what I like to make, no stupid poses or pulling faces – save those for camera phones! [Tech info:] Pentax 67, 105mm/f2.4 lens, loaded with expired Kodak TMAX 400, processed in Kodak Xtol 1+1 for 9:15. It’s hard to believe that SS20 first opened 25 years ago. 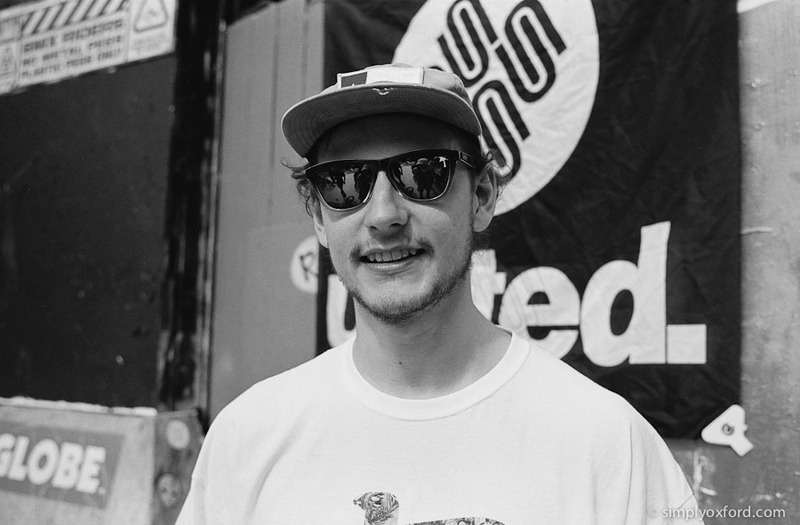 I was never a skateboarder but I do remember it was a big deal for the Cowley Road to have it’s first skateboard shop. Whenever I’d pass by I would look in the window to check out the new skateboard designs and the cool looking logos for the companies who’s products they stocked. 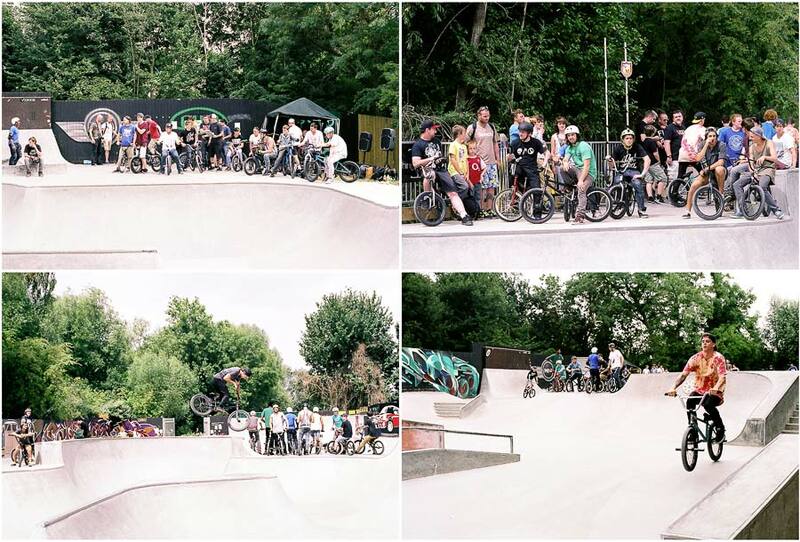 SS20 is still going strong and still on the Cowley Road and to celebrate its 25th anniversary there was a skate jam at the meadow lane skatepark. 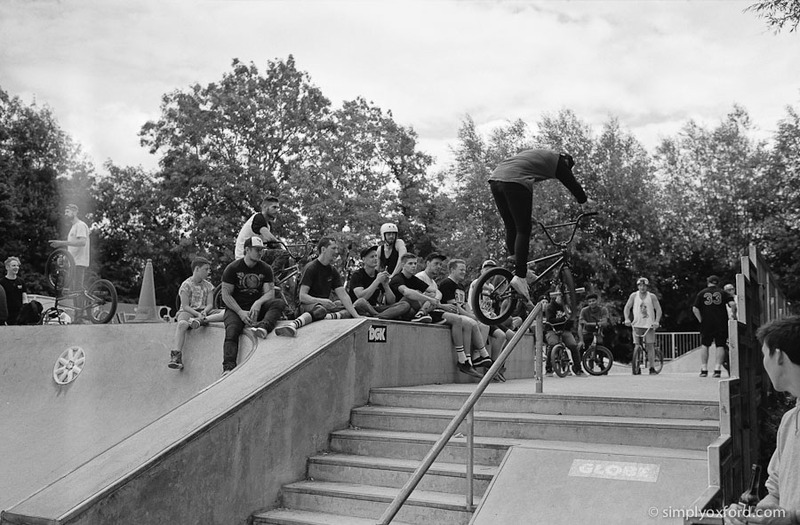 I went along to do some photography and it was really nice to see the park so busy with skateboarders which was a first for me as there are usually BMX riders there whenever I visit. 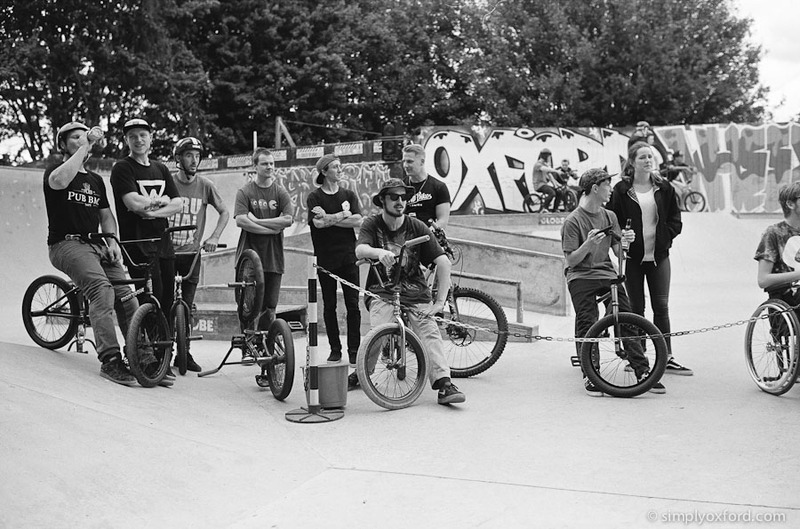 No BMX’s were allowed at this event of course. 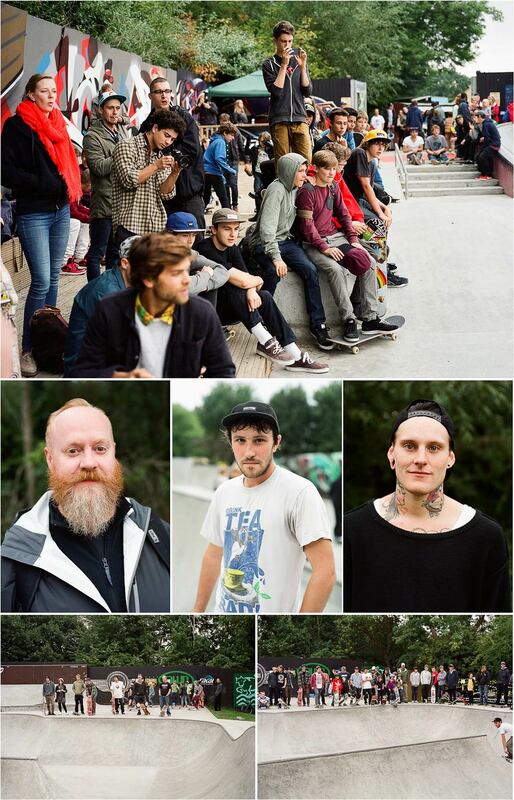 It was nice to see some familiar faces and to hear from people who have been enjoying my photography from the skatepark. 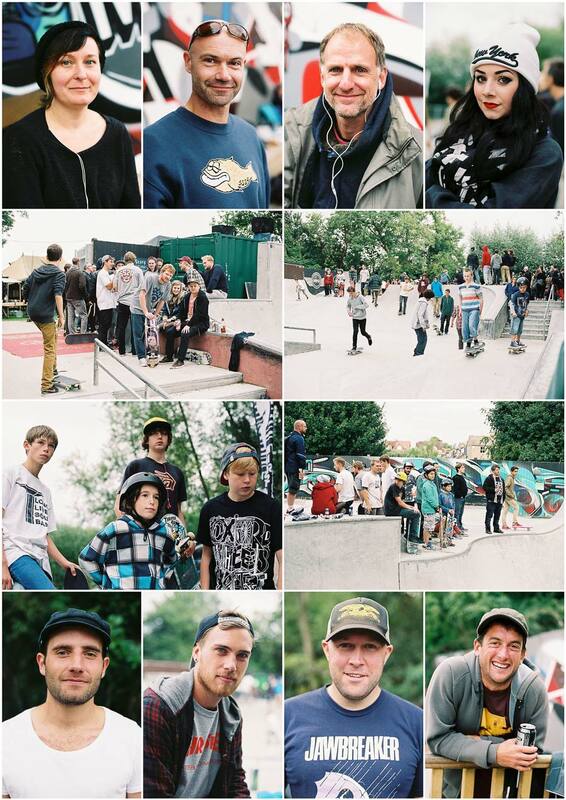 I took three different cameras with me to this event, these shots are from the same roll of 35mm film. The medium format shots will follow at a later date. 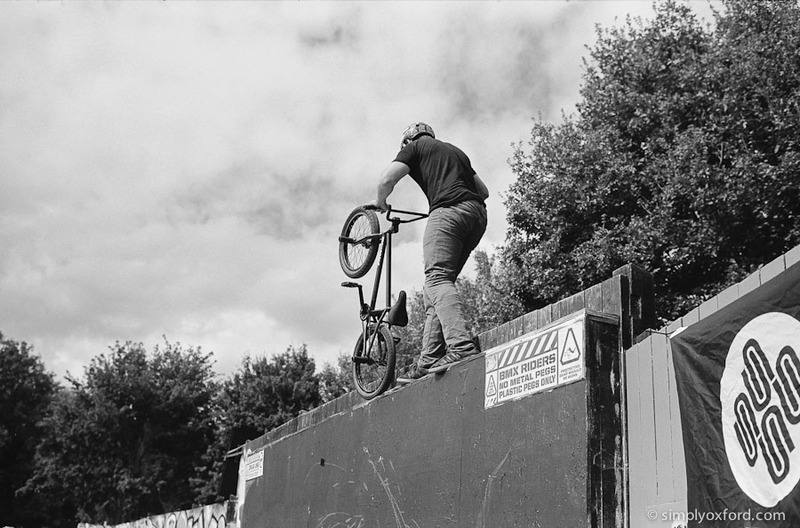 [Tech info:] Nikon FM2, 50/1.4D lens, loaded with Fuji Superia 200 film, processed and scanned by Asda in Swindon. 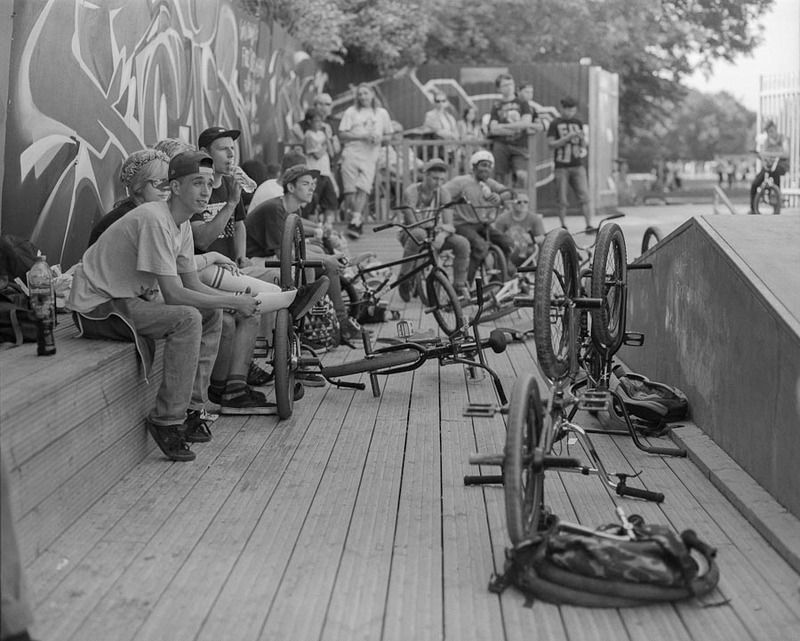 This is the second instalment of my pictures from the BMX Jam that was held at the Meadow Lane skatepark last month. It was a really fun way to spend a Sunday afternoon – even my wife and daughter stayed for the whole thing so it must have been good! I tried to photograph some of the action but with a maximum shutter speed of 1/400 it proved to be quite challenging to capture the peak of the action but I gave it my best shot. 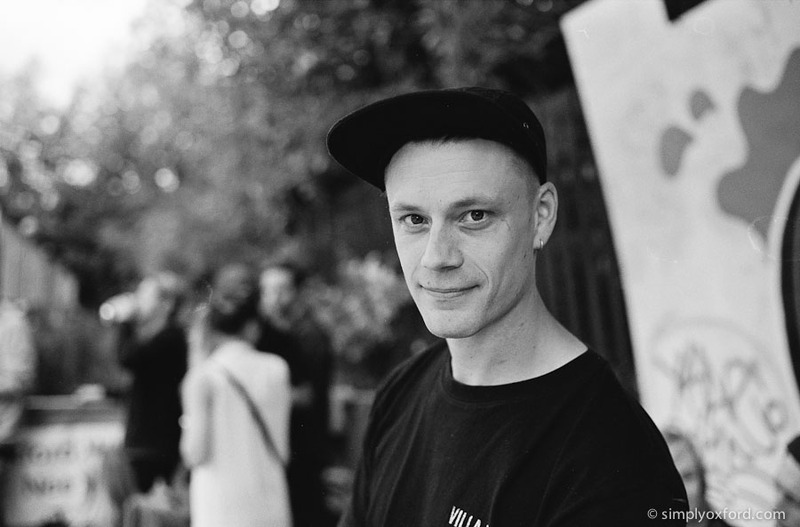 [Tech info:] Mamiya RZ67, 110mm and 150mm lenses, loaded with Fuji Acros 100 and Kodak Tri-X 400. Processed in Kodak HC110 1+31.